In Episode #50 on The Jen Mavros Show we take a peek into the quantum world, seeking the wisdom of Theoretical Quantum Physicist and Quantum Activist, Dr. Amit Goswami. During our chat with Dr. Goswami, we talk about death. Reincarnation. Karma. Unity Consciousness. Dreams; the heavier topics humanity has attempted to explain since the beginning of time. 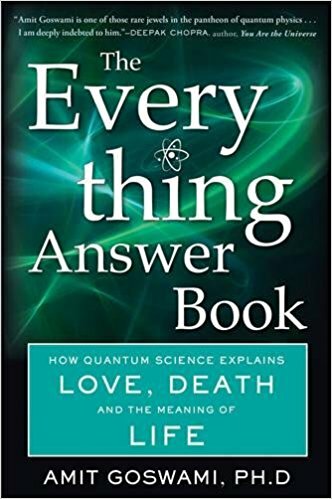 Goswami’s basic premise is that quantum physics is not only the future of science, but is also the key to understanding consciousness, life, death, God, psychology, and the meaning of life. Quantum physics is the best and clearest approach to understanding our universe. In short, quantum physics is indeed the theory of everything. A deep look into the fusion of science and spirituality, or rather "science with consciousness" from the mind of a spiritual scientist. A powerful mind-expanding episode for sure!! Theoretical Quantum Physicist Dr. Amit Goswami is a retired full professor from the University of Oregon’s Department of Physics where he served from 1968 to 1997. He is a pioneer of the new paradigm of science called “science within consciousness,” an idea he explicated in his seminal book, The Self- Aware Universe, where he also solved the quantum measurement problem elucidating the famous observer effect. paradigm in economics and business for the twenty-first century touching upon the stability and sustainability of the economy and leadership as well as creativity and ethics in business.